Senator representing Kaduna Central in the upper chamber of National Assembly, Shehu Sani has called on both the Federal and Kaduna State Governments to urgently develop an economic masterplan that would address agelong poverty and underdevelopment bedeviling southern part of Kaduna state. The activist turned politician on Tuesday in an interview said, arresting and prosecuting people of Southern Kaduna who were only trying to defend themselves against attacks by unknown assailants alone cannot solve the problem in the area but required holistic approach. According to the lawmaker in his earlier statement on Monday, the ugly situation in Southern Kaduna is not an exception, noting that, there was the need for all hands to be on deck to nip the situation with all sense of sincerity on all the stakeholders including the people themselves. He warned that, if there is no peace in Southern Kaduna, there is no way Kaduna State will be in peace quickly added that, it has pleased God to brought the people together as one and as such, learning to live together in peace is germain in peaceful atmosphere. According to him, ”arresting people is not the only solution. There must be an economic master plan for the place whereby the natives there will use that to address the problems of poverty and underdevelopment that have bedeviling that place. So, arresting people who want to defend themselves or arresting and prosecuting people around there is not the only way forward. “Southern Kaduna is faced with four problems; issue of Christians and Muslims which has been there for more than 40 years, clashes between farmers and herdsmen, visitors and indigene and people who hide in the bush to attack innocent people at night for no reasons. “What is happening now in Southern Kaduna has happened in Birnin Gwari, Zamfara and other parts of the country. “There must be a holistic approach in steming the situation. 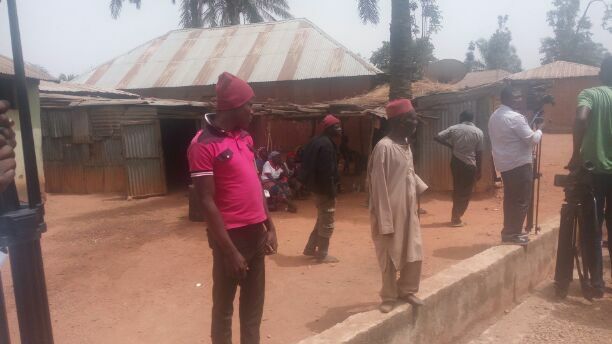 A poor man in Southern Kaduna is faced with the same problem with a man from Zaria which is caused by corruption”, he said. According to him,” If you remove President Muhamadu Buhari who declared his asset, nine out of 10 of people in public sphere are corrupt. “If you have not forgotten, it was not APC that killed PDP but its members. It was not a skin disease that killed PDP but stomach pains, injustice and lack of truth which is now happening in APC”, he decried.